John Dewar & Sons has unveiled a new range of proprietary bottlings from Royal Brackla distillery, one of Scotland’s oldest and most venerable distilleries. The new Royal Brackla portfolio of single malt Scotch whiskies consists of three age statements, each bottled at 40% ABV: Royal Brackla 12 year-old, 16 year-old and 21 year-old. They will be available initially in ten markets from Se ptember, including Canada, France, Germany, Japan, Russia, Sweden, Taiwan, UK, US, and global travel retail. The packaging for all the whiskies in John Dewar’s The Last Great Malts of Scotland range has been designed by Stranger and Stranger, London. 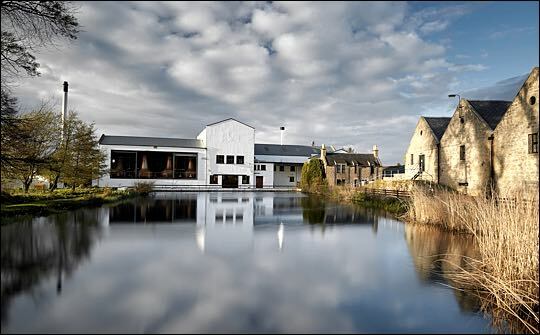 Standing in the Cawdor Estate, Royal Brackla Distillery was established in 1812 by Captain William Fraser who returned to the family farm after military service and took advantage of the fine barley it grew. Within 25 years his distillery’s reputation for spirit of sterling taste received its crowning moment when King William IV bestowed ‘Royal’ status to Brackla, in 1835. It thus became the first Scotch to garner a royal warrant, a revelation that led to its nickname: ‘The King’s Own Whisky’.